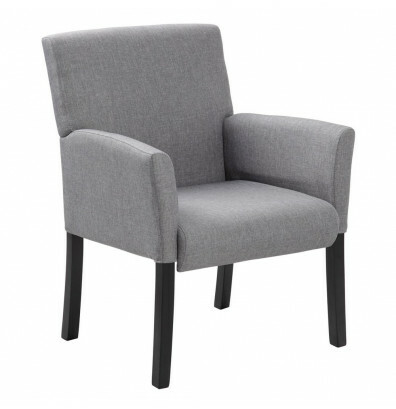 Boss B659-MG mid-back guest chair is upholstered in medium grey linen-like fabric for comfortable sitting. Features include built-in lumbar and forearm support, waterfall seat edge, and sturdy black wood legs. 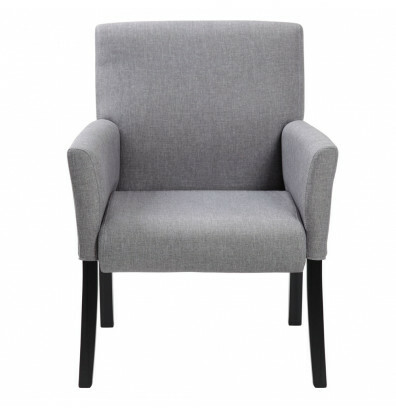 Boss B659-MG mid-back guest chair is upholstered in comfortable linen-like fabric for all-day seating. 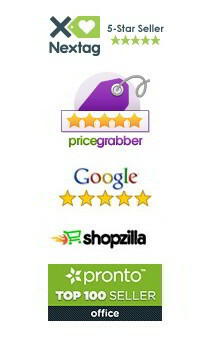 The ergonomic design with built-in lumbar support relieves back stress. Fixed armrests provide added forearm support. Waterfall seat edge relieves pressure to the legs for extra comfort. Sturdy black wood legs for reliable stability. 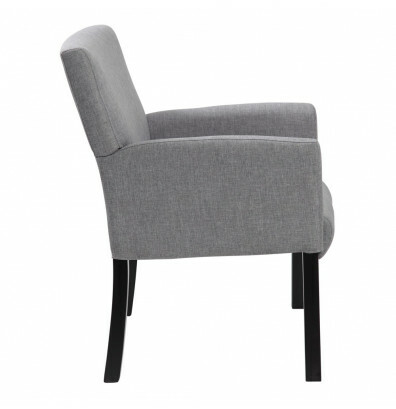 This guest chair is available in black CaressoftPlus upholstery. Bought 6 of these chairs, very well made, assembly went well. 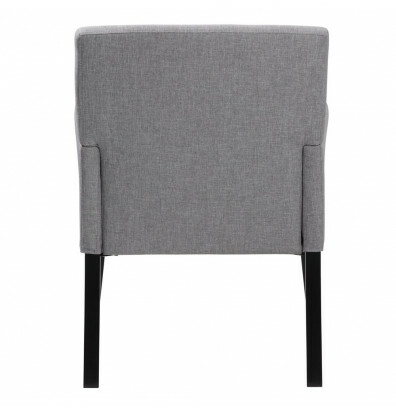 Good quality upholstery fabric, looks sharp. And, the price was right.